Law Web: Whether grand children can be treated as tenant when their parents are alive? Whether grand children can be treated as tenant when their parents are alive? After death of his mother, the plaintiff was paying rent and he was accepted to be tenant in respect of suit premises. The learned counsel for the defendant no.1 contends that the defendant no.1 would be included within the definition of 'Tenant' in view of the language of clause (d). On careful perusal of this clause, it would appear that on the death of the tenant, the members of the tenant's family, who were residing in the premises would be deemed to be tenants. Question is who are the members of the family. Mother of the plaintiff was tenant and naturally, the members of her family would be her husband and children, who were residing with her. Plaintiff was the son and he was residing with mother as a member of her family. His children could not be treated as members of the family of his deceased mother and, therefore, the defendant no.1 being her granddaughter could not be treated as a member of her family. Therefore, in my opinion, when the tenant was living with her children, at the time of her death, her grandchildren can not be treated as members of her family and the tenancy can not be deemed to have been transferred to them. However, if the children of the tenant are not alive or not living with him/her for any reason, but the grandchildren are living with him/her, in such a case, the grandchildren may be treated as members of the family of the tenant but that is not the case in the present matter. Therefore, on death of the mother of the plaintiff, he would be treated or deemed to be tenant and he has been rightly accepted as such, by the landlord. His daughter, who was just aged about 4 years at the time of death of her grandmother could not be deemed as tenant in respect of suit premises on death of her grandmother. 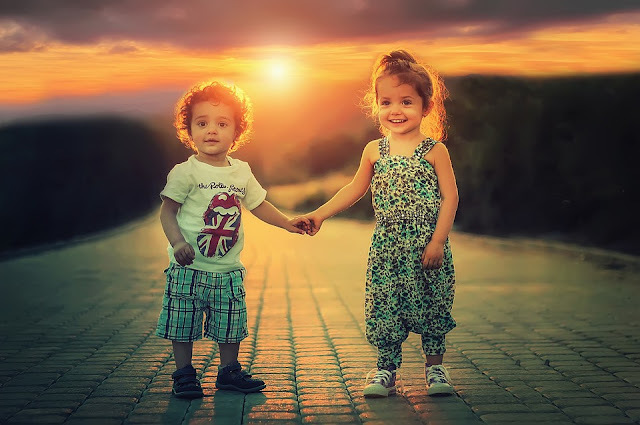 It is the responsibility of the parents to take care of their minor children but after children have attained the majority, children do not get legal rights to reside in the personal property of parents. They can live in the house of the parents only with consent of the parents and not otherwise. In both these matters, it would appear that children of the deceased tenant were held to be members of the family of the deceased tenant. The learned counsel could not point out any authority wherein grandchildren were also treated as the members of the family of the deceased tenant, particularly, when the deceased tenant had left behind his own children, who were living with him as the members of his family. Therefore, these authorities do not come to the rescue of the defendant no.1. 1. In both the matters, Rule. 2. Rule made returnable forthwith. With consent of the learned counsel for the parties, matters are taken up for final hearing immediately. 3. To state in brief, the suit premises belongs to the Parsee Central Association Co-operative Housing Society Ltd. and the mother of the plaintiff, Soli Bahadurji Batiwala was tenant in the suit premises 730 Hormuzd Building, Ground Floor, J. Vimadalal Street, Parsi Colony, Dadar (East), Mumbai 400 014. She was living in the house alongwith her son and grandchildren. The defendant no.1, who is the appellant before this Court, is the daughter of the plaintiff. Mother of the plaintiff died in 1980 leaving behind the plaintiff as her legal heir. Defendant no. 1 was married in the year 1998 and she went to live with her husband. Defendant no.2, who is the respondent no.2 before this Court, is the husband of the defendant no.1. Plaintiff filed suit for perpetual injunction restraining the defendants from causing any interference in his possession over and from entering upon or continue to stay/occupy the premises. He also took out notice of motion for interim relief of the same nature. The suit and the notice of motion were filed before the City Civil Court, Greater Bombay. Defendant No.1 contested the matter contending that she was deemed tenant alongwith the plaintiff on death 3 of her grandmother and, therefore, the dispute is between two tenants and as such, the City Civil Court does not have jurisdiction and that jurisdiction will lie with the Small Causes Court. She also contested the notice of motion on merits. After hearing the parties, the learned judge of the City Civil Court allowed the notice of motion and granted interim injunction pending the suit. That order is challenged by the defendant no. 1 in the Appeal From Order. As the defendant no.1 had challenged the jurisdiction of the City Civil Court and as the trial Court had not framed any preliminary issue in respect of jurisdiction as required under Section 9-A of the Code of Civil Procedure before deciding the notice of motion, by the order dated 29th August, 2011, in the Appeal From Order, this Court directed the learned City Civil Court to decide the question of jurisdiction and meanwhile, the appeal was kept pending before this Court. Thereafter, parties were heard by the learned Judge, City Civil Court and he came to conclusion that the City Civil Court has jurisdiction to entertain the suit in view of the pleadings in the plaint as well as the evidence placed before him. Those findings are challenged by the defendant no.1 by filing Civil Revision Application. As both the matters are connected, they are taken together for final hearing and disposal. 4. Heard the learned counsel for the parties. Perused the pleadings and the evidence led by the parties. 5. Undisputedly, the mother of the plaintiff was tenant in respect of suit premises and she was paying rent. She died in the year 1980 leaving behind her son, i.e., the plaintiff, his wife and children. After her death, the plaintiff was paying rent and rent receipts were transferred in the name of the plaintiff. Thus, the landlord accepted the plaintiff as tenant in the premises. Defendant no.1 was shown to be aged 35 years in the year 2011 when the Revision Application was filed. It shows that she was just a small girl aged about four year when her grandmother died. There is no record to show that she in her own right was accepted to be tenant in respect of suit premises. She was living in the house as a daughter and family member of the plaintiff. She got married in the year 1998 and went to live with her husband. Admittedly, her marriage with the defendant no.2 is still subsisting. There is no dispute between the husband and wife. As soon as she was married and she left the house of the parents to live with her husband, she became member of the family of the husband and from that time, she was no more member of the family of her parents. After death of the parents, she may have certain rights in their property but during the life time of parents, she can not claim any right in the property of her parents. (ii) where they are let for education, business, trade or storage, is using the premises for any such purpose, with the tenant at the time of his death, or, in the absence of such member, any heir of the deceased tenant, as may be decided, in the absence of agreement, by the court. 7. After death of his mother, the plaintiff was paying rent and he was accepted to be tenant in respect of suit premises. The learned counsel for the defendant no.1 contends that the defendant no.1 would be included within the definition of 'Tenant' in view of the language of clause (d). On careful perusal of this clause, it would appear that on the death of the tenant, the members of the tenant's family, who were residing in the premises would be deemed to be tenants. Question is who are the members of the family. Mother of the plaintiff was tenant and naturally, the members of her family would be her husband and children, who were residing with her. Plaintiff was the son and he was residing with mother as a member of her family. His children could not be treated as members of the family of his deceased mother and, therefore, the defendant no.1 being her granddaughter could not be treated as a member of her family. Therefore, in my opinion, when the tenant was living with her children, at the time of her death, her grandchildren can not be treated as members of her family and the tenancy can not be deemed to have been transferred to them. However, if the children of the tenant are not alive or not living with him/her for any reason, but the grandchildren are living with him/her, in such a case, the grandchildren may be treated as members of the family of the tenant but that is not the case in the present matter. Therefore, on death of the mother of the plaintiff, he would be treated or deemed to be tenant and he has been rightly accepted as such, by the landlord. His daughter, who was just aged about 4 years at the time of death of her grandmother could not be deemed as tenant in respect of suit premises on death of her grandmother. It is the responsibility of the parents to take care of their minor children but after children have attained the majority, children do not get legal rights to reside in the personal property of parents. They can live in the house of the parents only with consent of the parents and not otherwise. When a daughter gets married and leaves the house of the father to reside with her husband, she ceases to be member of the family of father and becomes member of the family of the husband where she has got certain rights under the law. After marriage when she goes to the house of the parents, legally she is only a guest in the house and does not have legal right to continue there. She can stay there as long as parents permit her but she can not force herself on the parents in the house. In view of this, it must be held that the defendant no.1 could not be treated as tenant in the premises. 8. Plaintiff filed suit for injunction restraining the defendants from entering upon or staying in the house without his consent and he also claimed interim relief of the said nature pending the suit. Suit was not between two tenants. Suit was between tenant of the premises, who is the occupant and the third persons, who want to force their entry in the premises in the occupation of the tenant. Therefore, such a dispute between plaintiff and defendant can be entertained by the civil Court and the matter will not go to the Small Cause Court under the Rent Act. In view of this, the City Civil Court has jurisdiction to entertain the suit filed by the plaintiff. 9. The learned counsel for the defendant no.1 relied upon certain authorities in support of his contention that the defendant no.1 should be treated as tenant. In Textile Association (India) Bombay Unit v. Balmohan Gopal Kurup and another 1991 (3) Bom.C.R. 639, premises in question was under the occupation of one Gopal Kurup. He left behind his widow, two sons and daughters. After the death of Gopal, the appellant-landlord filed an eviction petition on the ground of bona fide requirement and default in payment of rent. In that suit, the respondent no.1 Balmohan was not made a party and only his mother and brother were impleaded as parties. Suit was decreed ex parte and in execution, the landlord recovered possession. The respondent no.1 filed the suit claiming to be one of the tenants living in the premises at the time of death of his father Gopal. The trial Court declared that ex-parte decree for eviction was not binding upon him. The appeal was dismissed by the High Court. When the matter went to the Supreme Court, it was held that the respondent no.1 alongwith his mother and brothers would be tenants in the premises and, therefore, ex-parte decree was set aside and the respondent was directed to be impleaded as party in the original suit for eviction. 10. In Ramesh Shankar Kale v. Madhav Bhimshankar Wadnere & Ors. 2001 (Supp.) Bom.C.R.321, there was a dispute about inheritance of tenancy. Suit for eviction was filed against eldest son of the original tenant. Decree was opposed by the second son. The trial Court held that the eldest son was manager of the family. High Court set 10 aside that order holding that all the members of the family had right to inherit the tenancy and should have been made party to the proceedings and, therefore, second son was also entitled to make party in the suit for eviction. 11. In both these matters, it would appear that children of the deceased tenant were held to be members of the family of the deceased tenant. The learned counsel could not point out any authority wherein grandchildren were also treated as the members of the family of the deceased tenant, particularly, when the deceased tenant had left behind his own children, who were living with him as the members of his family. Therefore, these authorities do not come to the rescue of the defendant no.1. 12. As I find that the dispute is not between the two co-tenants and it is only between the tenant, who is occupant of the premises and the third person, the City Civil Court has got jurisdiction to entertain the suit for injunction. In view of the facts and circumstances of the present case, I find no fault with the interim injunction granted by the City Civil Court. The learned counsel for the defendant no.1 contended that the nature of interim injunction is similar to the permanent injunction sought in the suit and, therefore, such interim relief will not be granted. The learned counsel for the defendant no.1 relied upon Metro Marins and another v. Bonus Watch Co. Pvt. Ltd. And others AIR 2005 SC 1444. In that case, suit property was given on license to the defendant. On expiry of the license period, licensor filed suit for possession and he also moved an application for temporary injunction seeking direction that he be put in possession of the suit premises pending the suit. The Supreme Court held that grant of such interim relief would amount to passing decree finally and, therefore, such relief can not be granted pending the suit. Facts of that case are totally different from the facts of the present case. Plaintiff is admittedly in possession of the premises as tenant and, therefore, I find no legal difficulty or obstacle in granting interim relief in his favour. 13. For the aforesaid reasons, Civil Revision Application as well as Appeal From Order stand dismissed. 14. As a result, civil application does not survive and stands disposed off accordingly. 15. The learned counsel for the defendant no.1 makes a request that stay granted to the impugned order by the trial Court may be continued for some more time. I find no valid reason to continue the same. Therefore, request is turned down.